I recycled an old post lol :P Anyway, you get the full set, so no worries ordering one box. 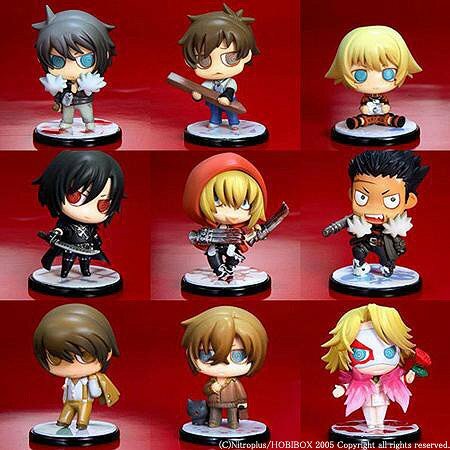 But for those who already own it, there’s not very much incentive to buy again unless you want a backup set… it would’ve been more worth it for us if they have remade these chibis into 2nd generation one-coins whose heads are removable. Update: 6/6/2009 ~ Will be re-released again on 5 November 2009. Togainu no Chi is popular!!! How I wish they do the same for Lamento =.= I would love to own another set.